Who plans on getting the new Samsung Q1EX? No navigation buttons, no keyboard buttons. 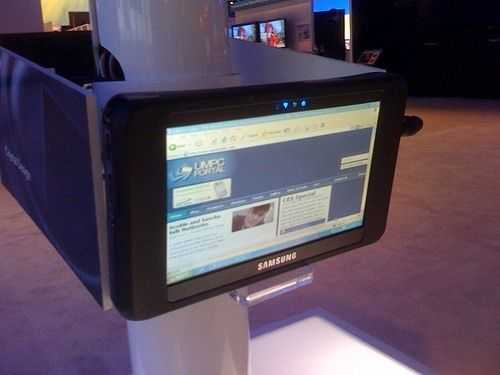 It's been a bit confusing keeping up with all the different Samsung UMPC tablets. There was the Q1, then the Q1Ultra (or Q1U), followed by the Q1 Ultra Premium (Q1UP), and now the Q1EX. Does any of this make sense? Since most consumers are getting a netbook, who's still buying these UMPCs? Sony got rid of the Vaio UX series and came out with the Vaio P Lifestyle PC. Why didn't Sony include a touch screen? My guess: to keep the device as thin as possible. Maybe the next edition of the P series will have one. You can get the best of both worlds with the Fujitsu U820. Here, you get a clamshell device with a touch screen and a keyboard.